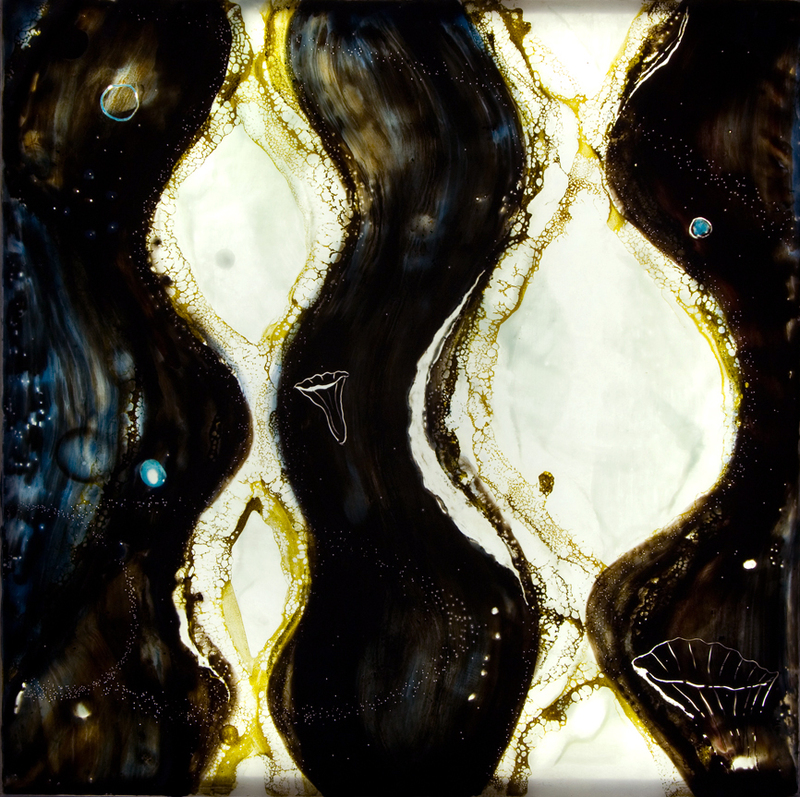 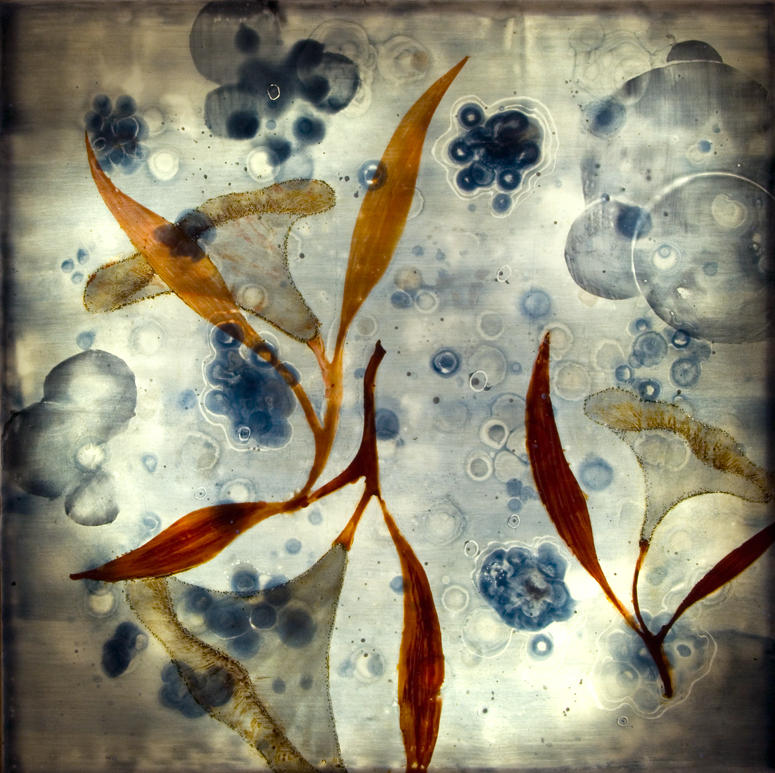 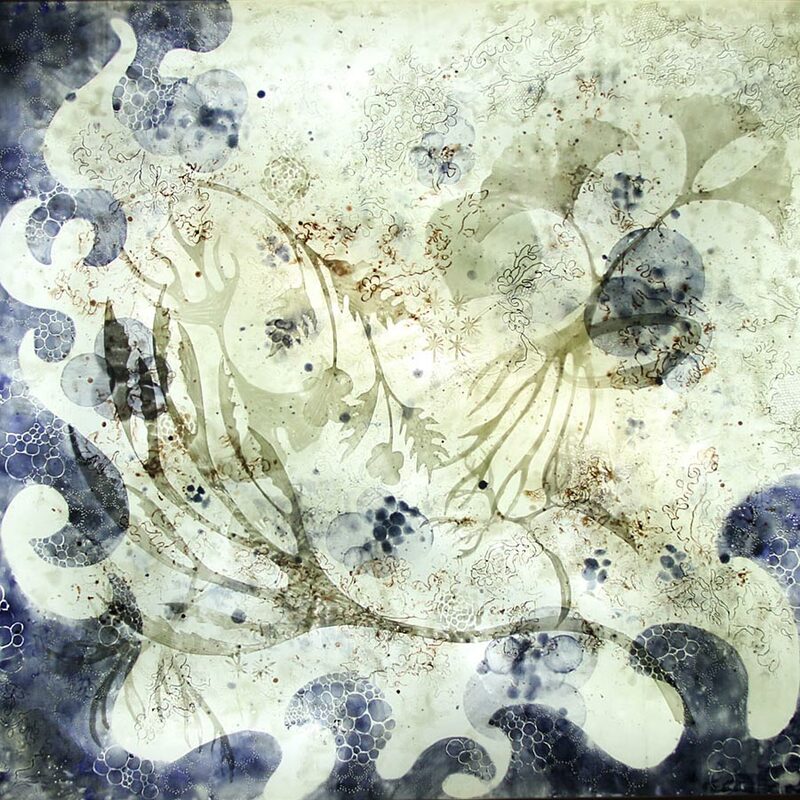 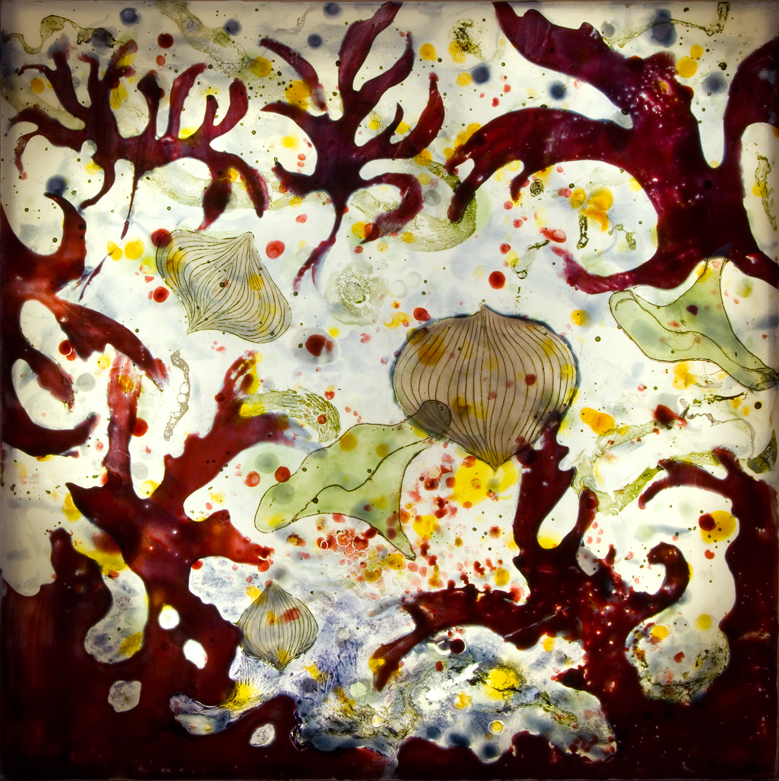 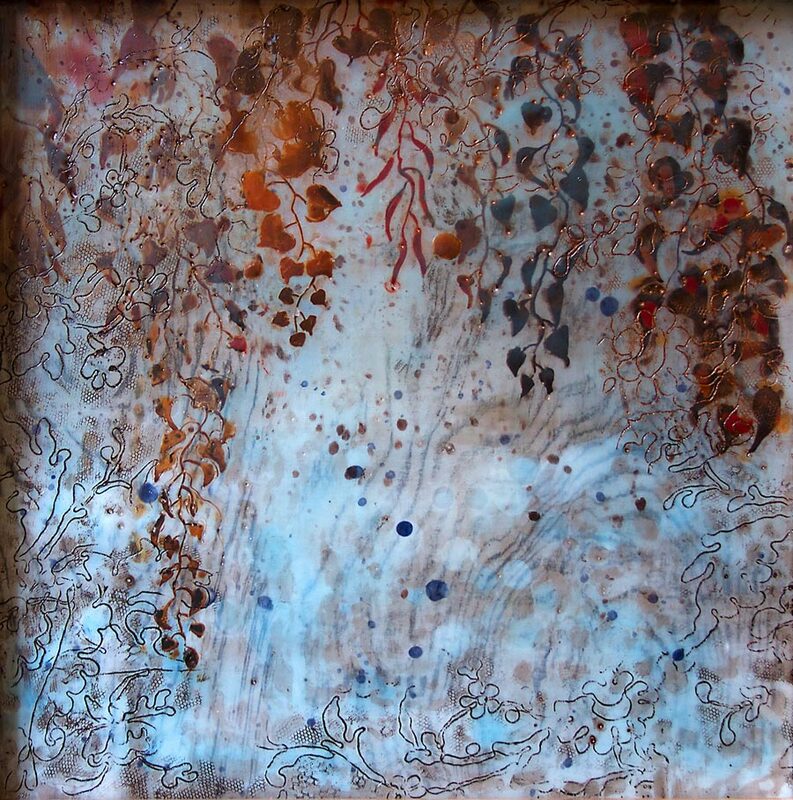 Illuminated Encaustics are ethereal, subaquatic or cellular dreamscapes. 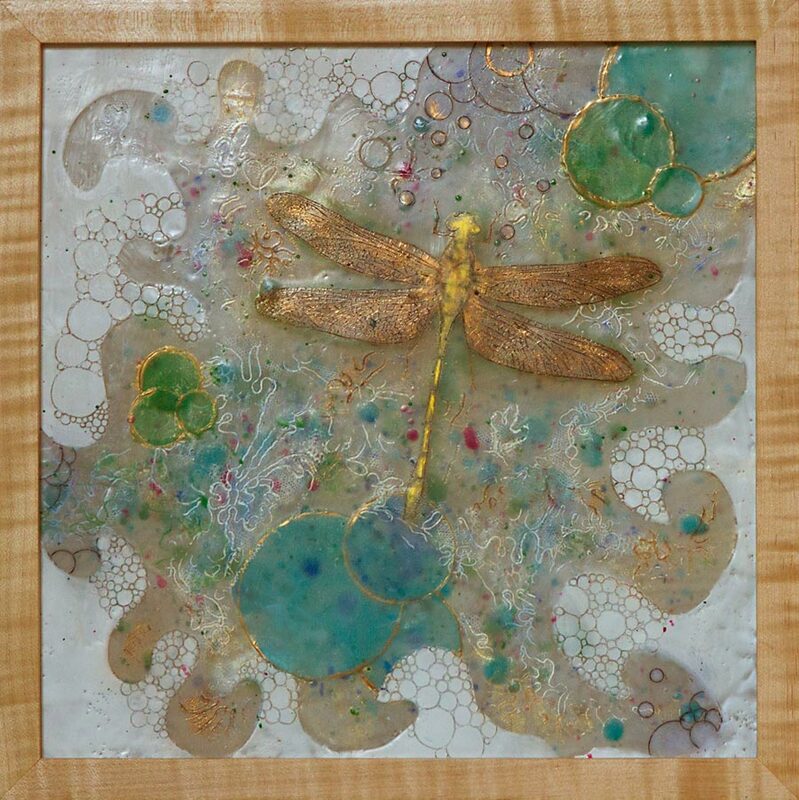 Custom designed Maple wood boxes with LED lighting cradle the plexiglass surfaces. 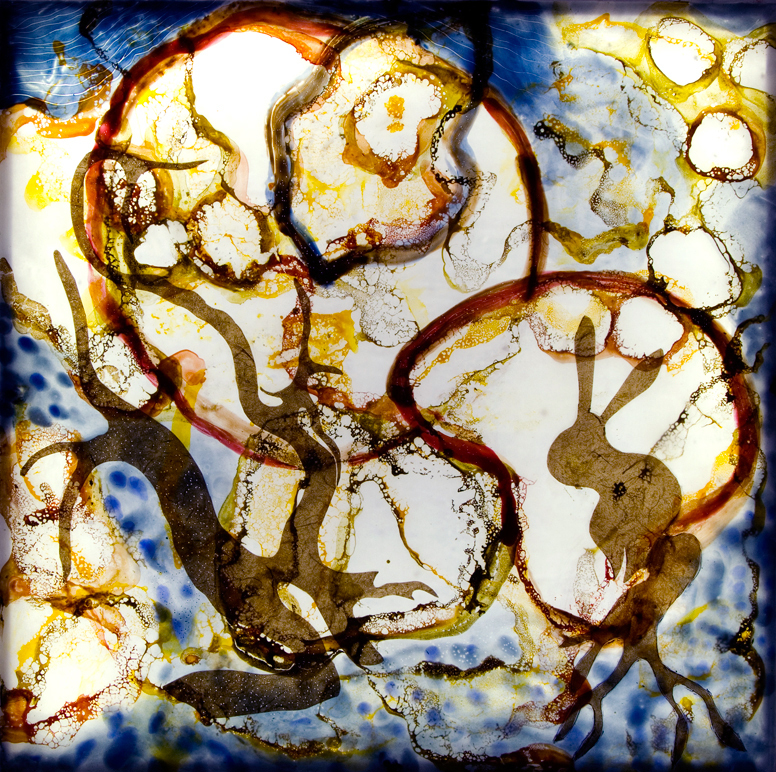 Illuminated encaustics can be hardwired into electrical boxes. 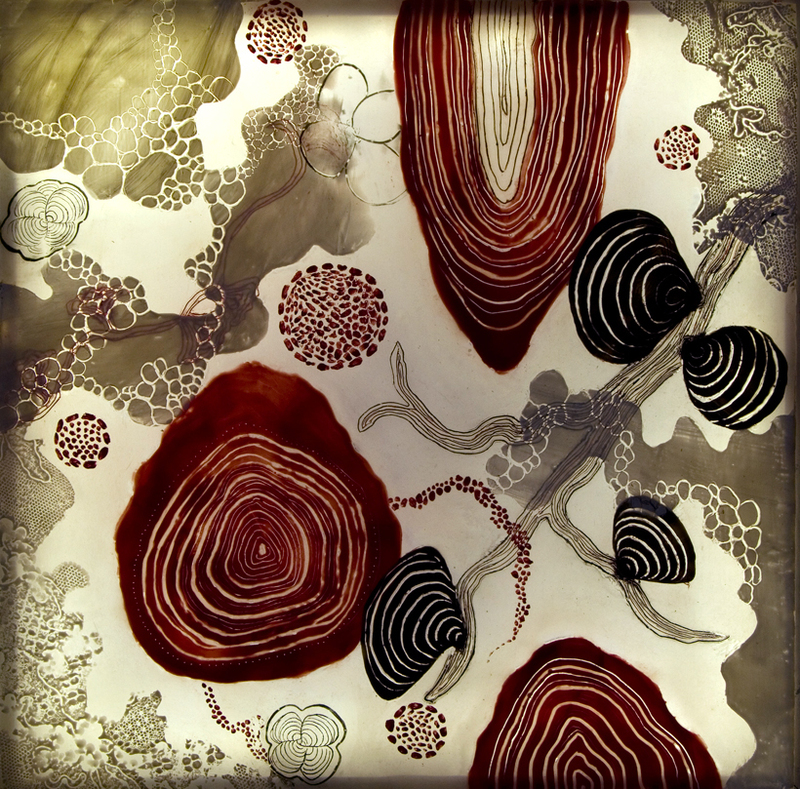 They are designed to be aesthetically pleasing as traditional works or become windows to another world when illuminated.